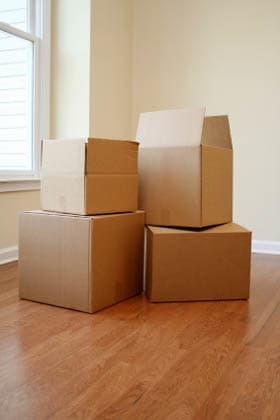 A-1 Self Storage offers a full line of moving and storage supplies for your one-stop shopping convenience. 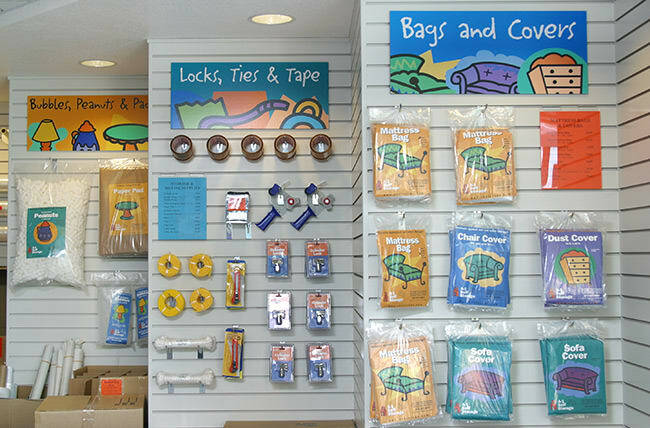 We carry boxes, tape, packing materials, protective covers, locks, and more. 12 in. x 15 ft.
Protects and cushions fragile objects from damage. Biodegradable. Made from recycled polythylene. 12 in. x 100 ft., perforated every 12 in. Protects chairs up to 42 in. Protects against dust, soil and water damage. Chrome plated, solid brass, concealed body - no exposed padlock shackle. Heavy-duty laser welded case for strength and endurance. Packs 12 glasses. Safe and effective way to pack your glasses. Fits in small 1.5 cubic ft. box. Protects and cushions. Non-toxic, biodegradable loose fill material made from 95% cornstarch. Reusable. Protects and cushions. Replaces moving blanket. Reusable. 45 in. x 152 in. For sofas up to 9 ft. 6 in. 5 in. x 1000 ft.
Secures furniture doors while moving. For larger coverage while moving. Grip handle. Holds 2 in. wide roll of tape. Twisted polypropylene, orange and black. 13 ft. nylon web strap, 900 lb. capacity, heavy-duty metal buckle.